You see a map that demonstrates territory of Russia. On this map town Kaspiyskiy presented. You can find here town Liman presented. town Oranzherei for Garmin. You can find here town Yandyki for Garmin. You can find here town Zenzeli for Garmin. On this map Olya marked. On this map Zyuzino download for free. On this map Zhitnoye for Garmin. On this map Zarya free download. Displayed Zarechnyy marked. Yar-Bazar free download. Yamnoye presented. Vyshka free download. 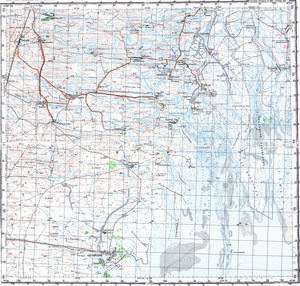 On this map Voskresenskoye free download. Displayed Venderevo marked. Vakhromeyevo free download. Displayed Ulan-Khol free download.